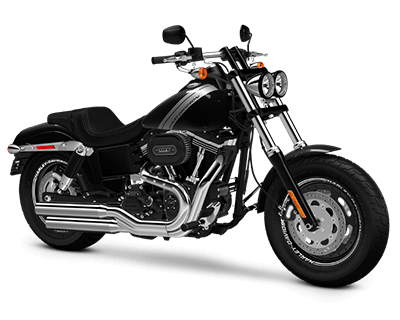 All Harley-Davidson motorcycles in the Dyna® model line provide Lakewood and Aurora riders with a stunning blend of power and responsiveness, making them strong models for any situation. Big-twin engines put you in command of an intimidating level of power while rubber mounting reduces engine vibration. 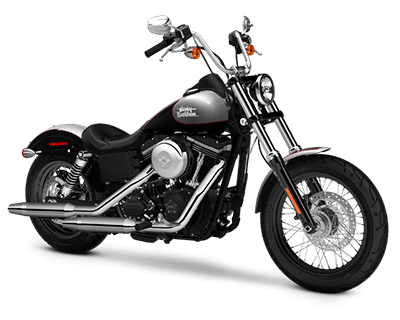 Dyna® Harley-Davidson models are thrilling to ride and magnificent to behold, an excellent choice for Lakewood and Aurora riders who want a motorcycle that boasts all-around performance. Elegant fenders and finely spoked wheels make every Street Bob® stand out from the crowd, and optional H-D1 Factory Customization can make yours truly unique. With fuel tank medallions, a mini ape-hanger handlebar, traditional chrome-finished stop-turn taillights, and a bold front wheel with blacked-out rims, this is one of the most sought-after Harley-Davidson models currently available, and the air-cooled, twin-cam 103 engine sees its striking appearance matched by its raw power. 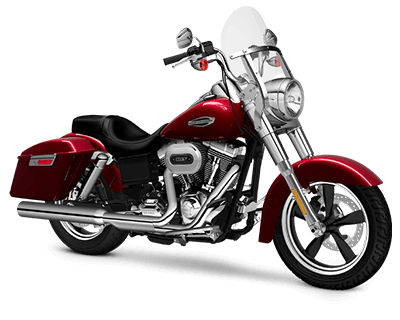 The Low Rider® is a traditionally styled Dyna® that is perfect for first-time riders around Aurora and Lakewood. 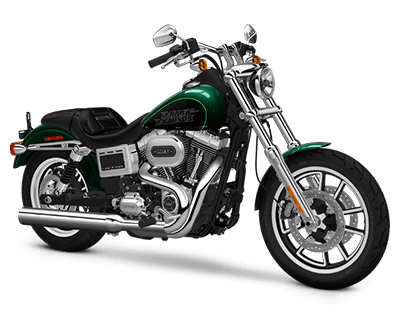 The low stance makes it easy to handle and exhilarating to ride, whether bursting with power on the highway or weaving through town. The air-cooled, twin-cam 103 is refined by a modern 6-speed transmission, making this one of the more efficient models currently offered by Harley-Davidson. Low fuel consumption is ideal, because you’ll never want to get off this bike. Large by name and large by nature, the Fat Bob® is big, bold, and daring, with the distinctive black styling enjoyed by the Dark Custom line producing an imposing piece of mechanical excellence. A powerful 103 engine and Tommy Gun 2-1-2 exhaust system both serve to ensure that the bike’s size doesn’t get in the way of its impressive performance. 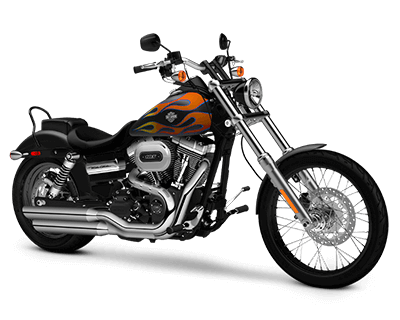 The Wide Glide® is an authentically styled chopper that exudes a freewheeling attitude on every level. The long custom look is accentuated by black-laced steel wheels, with a 21-inch front wheel and a 17-inch back wheel. Bold triple clamps and raked-out forks complete the look, as does a wealth of shining steel towards the front of the bike. Few motorcycles can match this combination of no-nonsense defiance and compelling design, and few would try. 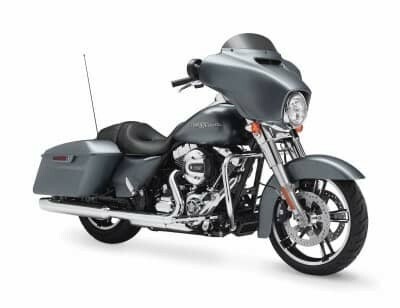 Built around a lightweight chassis with strong suspension, the Switchback™ is nimble in the city, but converts quickly and easily into a touring bike when you attach the windshield and saddlebags. 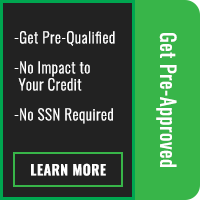 Able to go from cruiser to touring bike in no time flat, the Switchback™ is a popular motorcycle that also incorporates anti-lock brakes for added safety, along with a potent 1690 cc engine.